VRX Multipurpose Thread Turning Grade - NEW! 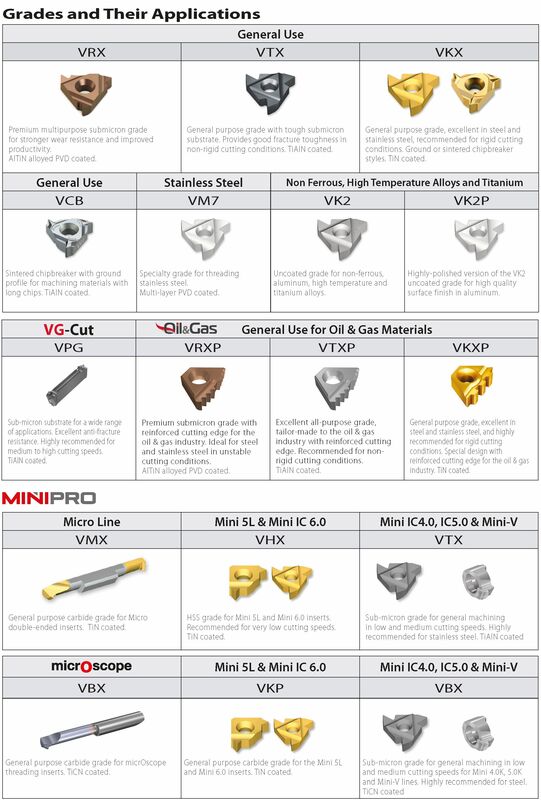 The new VRX grade from Vardex is a multipurpose premium grade suitable for machining steel, hardened steel up to 55 HRc, stainless steel, high temperature alloys and non-ferrous metals at low and high cutting speeds. The advanced technological processes involved in the creation of the VRX grade ensure stronger wear resistance, a longer tool life and better productivity. 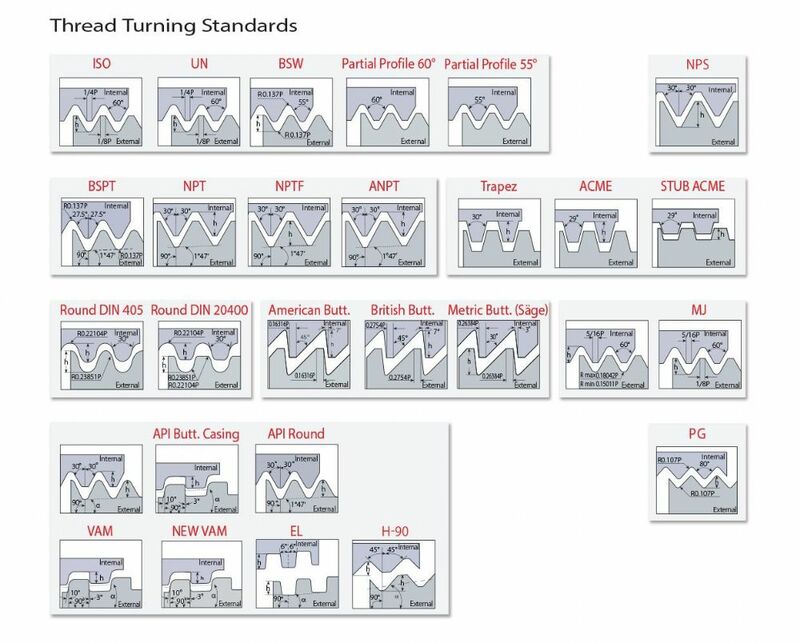 In addition to the new VRX grade, the VARDEX Thread Turning program offers a wide range of grades for threading any type of material. VK2P - highly polished for exceptional performance for high quality surface finish in aluminium. With 28 different standards, VARGUS offers the widest range of thread standards in the industry. Whether you require a non-standard size, a complex shape or a special design, the Vargus Custom Made Solutions team has the experience and know-how for essentially any tooling solution. Working closely with the customer, VARGUS engineers provide the best solution for your operation, as well as guide and advise in the implementation of the customized machining process. The Custom Made Solutions team has all of the know-how to design the right cutting tool, using the latest techniques and top-of-the-line technology. Contact your VARGUS Sales Representative for more details.